Last Monday in January on the “Report” news programme of Sweden’s most widely watched TV channel, SVT1, they discussed future economic outlooks and they stated that the economic growth prognoses from the Sweden’s National Institute of Economic Research over the past five years had been excessively optimistic. 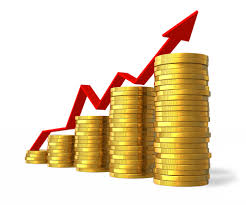 The Institute has been projecting future economic growth of approximately 3% per year. Every prognosis has proven incorrect and the Report programmer asked, “what will happen if there can no longer be rapid economic growth?” One answer is that it is the unemployed who will pay the price. Klas Eklund, senior economist at the Swedish bank SEB, stated his opinion that the forecasters at the National Institute of Economic Research had been far too optimistic and that most people now understand this. Historically, economic downturns have always been followed by growth but Klas Eklund now believes that this coupling is no longer valid. He says that there is an ongoing debate regarding whether we have now entered a new phase, a new normality, in which there is significantly slower growth, slower increases in income and greater unemployment. Politicians are now forced to adjust their budgets and forecasts. Recently Sweden’s finance minister also stated this but then concluded that things will get better in future. Klas Eklund concluded differently with a fairly bleak prognosis regarding decreased unemployment. The new economic situation that we now find ourselves in is something that ASPO has been warning about for the past 10 years. If we look back to 2004, the International Energy Agency (IEA) stated that increased economic growth of 3% per year required increased oil consumption of around 1.5%. Looking forward, the IEA predicted that, due to economic growth, in 2030 oil production would need to be 122 million barrels per day (Mb/d). Some weeks later I did an analysis that showed that their predictions could never be realised, i.e. the fuel for the expected economic growth could not be supplied at the rate required (TheUppsalaCode). Now the IEA has adjusted its prognosis so that, for 2030, it describes a rate of oil production (without processing gane) of 92 Mb/d, i.e. a reduction of 30 Mb/d compared to its earlier forecast. Historically, we have never seen global economic growth without increased consumption of oil. During the 1960s the rate of increase in oil use was 8% per year. From the mid-1980s until 2005 we saw an increase of 1.6% per year. In November 2014 the IEA stated that it was optimistic that there would be an increase in oil use of 0.5% per year until 2035. This is a very significant contraction from earlier forecasts but the significance of this has so far not been understood by politicians and economists. Our economy is not configured to cope with decreased oil use. We still need oil to transport the goods we wish to purchase/consume (including food) and to drive the vehicles that take us to where those goods are sold. If the coupling between economic growth and oil use is similar now to as it was during the 1980s and 1990s then we cannot expect more than 1% annual economic growth in future, and maybe less. Efficiency gains can give us a little breathing room for some years but sooner or later global oil production will decline, i.e. Peak Oil will have been passed! My predictions of 10 years ago are, in principle, still valid, although fracking has delayed the peak by a few years. More and more people are now saying that 2016 will be the year of global Peak Oil. . In the article “The peak and decline of world oil and gas production” from 2003, Colin Campbell and I originally estimated that the peak would occur in 2013-14 so if the oil production from fracking is excluded we were fairly accurate. We were certainly far closer to the mark than was the IEA in 2004! Klas Eklund is well aware of Peak Oil and he should have said that the “new normality” is Peak Oil. 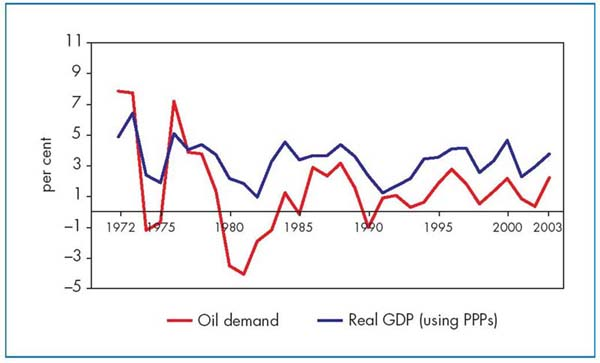 Great analysis by Swedish Professor on economy and oil – the long view. We ARE in changes times and that means there are opportunities to form our society how we want.